2) Concentration: You can pick either Savory or Pastry as a concentration; your coursework and classes will be weighted one direction or the other. By popular demand! 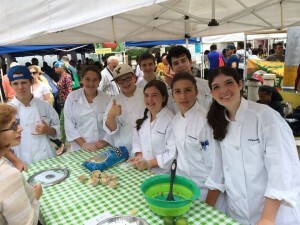 3) More visiting chefs: Our student told us they wanted more visiting chefs… so we got them! 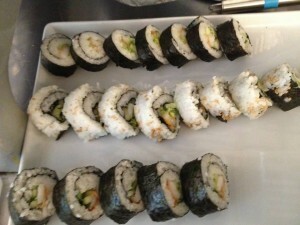 We will have sushi chefs to teach sushi-making; dessert (pastry) chefs to teach how to make yummy treats, etc. 4) New destinations: We are always adding new spots all the time to our list of destinations. I love cooking, but I’m not good enough (at all) to think about competing on TV for Chopped Jr. Is this program too advanced for me? No not at all. Many of our students are newbies, fresh, and they aren’t mad experienced in the kitchen. They just love to cook. That is all that is required of our students, that they love to cook and love food and all of that. We have and accept all skill levels. We divide up into small subsets and groups so each set of students can be challenged and learn at their own ability. 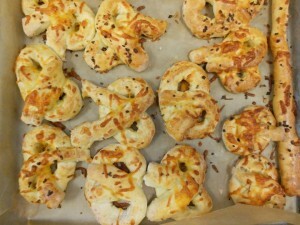 Why do you offer a concentration in pastry or savory this year? What does that mean? Popular demand. 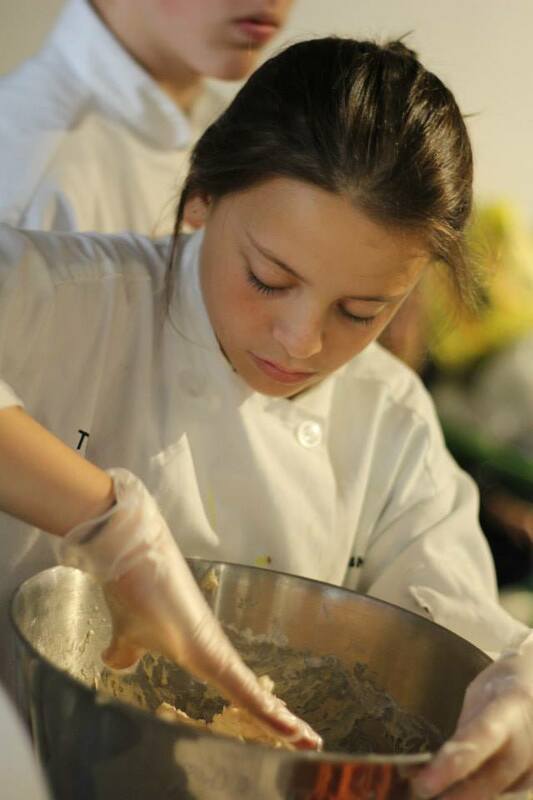 This year students can pick between PASTRY and SAVORY as their concentration. Students will still learn skills in both subsets during the course of their stay with us, but this way students who are more interested in desserts can pick pastry as their concentration, and students who are interested more in appetizers and entrees can pick savory. Both groups will still get classwork in kitchen safety, skill-building and more. This choice of concentration simply helps us give the students the kind of focus the students are asking for. Is the program safe? We are worried about our daughter in regards to safety. She’s 13 and we live in a small town in western PA; we have visited NYC before but, c’mon, it’s a big scary city to us as parents. How do you keep the kids safe when you travel around town? Are there chaperones? Student safety is our number one concern. Most of our students come from outside the City and have limited experience in NYC. So we stick to them like glue! Everywhere we go in the City, at all times, chaperones who live here and know the City are with the students every step of the way. On the first afternoon we do a dry run, taking the subway together, and we go over the process and procedure for how we travel in a group in great detail with the students. In the end it comes down to staying smart, staying together, keeping our eyes open and our ears clear of headphones etc. While we travel students will have their phones, just in case they get separated, and they have a card with all of our contact numbers and addresses and what to do if separated. So far this has never happened, because we practice, and because we know what we are doing. While we can never 100% guarantee anything, we 100% do our very best to ensure that safety remain our top top priority! Who will my roommate be? What is my room like? Is the dorm nice? Roommates are matched by age and geography. We try to mix international students with American students to maximize socialization. Staff live on the same floors as students to provide maximum supervision. Each room comes equipped with beds, desks, wardrobes, flat-screen TVs with cable TV, air-conditioning, and a full bathroom. The building can only be accessed through the main front door, which is staffed 24 hours a day by security, and each entrant must show their ID card. The building is very high quality and features many TV lounges, computer labs, a sports fitness center, a high-end laundry, movie room, and much more. Check out the dorm here! I’m flying to campusNYC; can someone pick me up? Yes! campusNYC offers FREE* airport pickup from La Guardia (LGA) and/or JFK International Airports. *FREE pickup: students must arrive/depart within our free travel window to take advantage of this free service, otherwise a nominal fee will be charged for students who arrive in other times. We do this to encourage families to get their students to NYC in time to have the complete campusNYC experience. A fee will apply for students who arrive and/or depart outside this window of time who want this service (we send two staffers two-ways for either pickup or dropoff) one- and two-way airport service from LGA and JFK airports. Staff members accompany students for the whole process as allowed by law; we can’t go through security but we make sure to be in touch with families ahead of the arrival day to let them know who is doing the pick-up and send them the picture of the staffer doing the pickup. The staff will be wearing a campusNYC t-shirt and carrying a sign with the student’s name. We offer pick-up/drop-off service from JFK and LGA (LaGuardia) airports and as an added bonus this service is INCLUDED in your tuition as long as your flight arrival time fits into our travel window; otherwise we have to make a special trip to pick up your student and we will therefore have to charge for that service. Please note: pickup / dropoff is NOT available at Newark (EWR) airport. For students who cannot arrive or depart during the FREE travel windows, we have to send at least one staffer (and often 2 staff members) from the dorm to pick up your student and to return to the dorm, so we must charge for this service. Unfortunately these trips are expensive and thus the one-way service is $150, two-way service is $300. Do international students attend this program? Yes! As much as 25% of the program each year has been international. Students from Germany, Switzerland, France, Hong Kong, Japan, Russia and other places have all enjoyed a fabulous time at campusNYC. Can I bring my cell phone or lap-top? Students may bring their phones and they can use them during strictly monitored times of the day. During travel through the city each student will have a list of critical phone numbers (program director, staff, residence hall, etc) However, during normal program times and during class and free time, phones are to be turned off to maximize the experience with new friends and mentors. There will be a cell phone use policy in your welcome pack. Lap-tops are not allowed. How do I get my welcome pack? Welcome pack pdf’s are emailed to the family immediately upon registration at our premier summer cooking program. Nothing else is sent to you, and nothing is ever sent through the USPS snail mail. How well supervised are campusNYC students? Safety is our top priority! We are living in NYC, and so we must keep our eye on our students at all times. Additional staff are hired as necessary during travel times, we have strict buddy-group rules, and we work closely with the students to bring them up to speed as to what is expected in terms of behavior and actions throughout the day. Nothing comes before student safety, in the kitchen, in the subway, on our trips, or anywhere else. Can I stay both sessions as a residential student? What happens in the weekend in-between? Students who stay for multiple sessions must pay for both sessions in full, as the program carries such an expense load we cannot offer a discount to multi-session students. However, we WILL host the student between each session for FREE. So when students attending one session pack up and depart on Saturday morning, our multi-session students will be sleeping in and saying good-bye. Then, Saturday afternoon we will go and do something totally fun! An experience nobody else gets, followed by a fun Saturday night (movie, show, concert in the Park, it all depends what is going on that weekend in NYC but let’s face it, a fun Saturday night with the staff and just a small group of the most die-hard kitchen junkies… it’s going to be fun! ), and a sleep-in on Sunday anticipating the next session of kitchen skill-building…. all free for students who attend both sessions as a residential student.Nothing comes before student safety, in the kitchen, in the subway, on our trips, or anywhere else. How do you possibly move around the City with a large group of kids? How is it possible to keep the group together, or what I mean is, how do I know my son/daughter is going to be safe and supervised and such during traveling around town and in general? Our students are a fun group. And that means they want to do all the fun things… and there is no way to get a group of 50 kids into Brandy Melville (if you don’t know what Brandy Melville is then you probably just saved yourself a fortune!) or anywhere. So, we have a ton of counselors, and we move through the City in smaller subsets and groups. Each counselor has a small group of students, and that little group of people move around together. The only time you will see our whole group in one giant amoeba-like swarm is in line at the Broadway show, or in line (like when we went to the U.S.S. Intrepid to see National Treasure being shown on the deck), or that kind of thing. And even in these cases, the little groups of counselors and students will still be together. We don’t let the students go anywhere in NYC at anytime without a staffer! How old are campusNYC students? Our student age range is quite diverse. We do have students of each age attending our program, from 12-year old students to 17-year old students, and each age in between. Our program will have enough of each age represented, so your student will be able to make friends and hang out with similar-aged students. 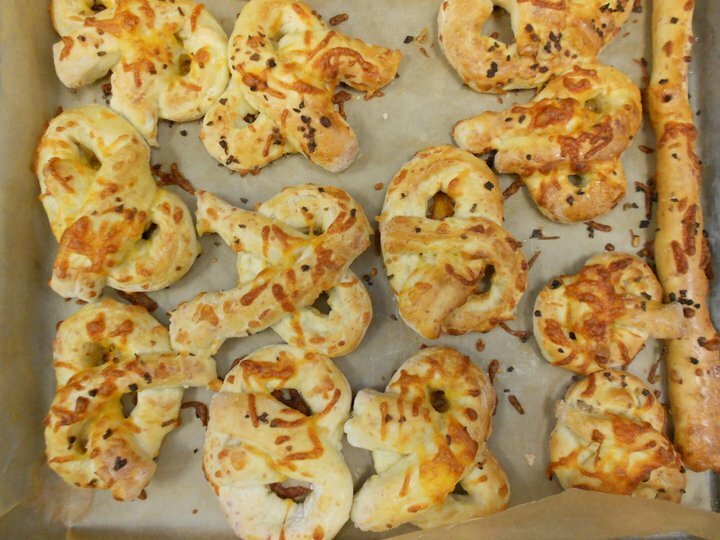 What if my student is vegetarian, vegan, keeps kosher or has food allergies? No problem! We will substitute a different menu item to replace meat or animal by-products for those who do not want to learn to cook, prepare or eat those items. And of course we will watch out for food allergies! Just let us know. When you register you can tell us (in the enrollment process there is a field where you can tell us anything you want about your student; fill this information in there) You can also just tell us when you arrive. We will make any reasonable accommodation for our students, no worries. Kosher meals are not provided but we can make efforts to connect to kosher food service as needed, please contact us to discuss. No, unfortunately. Our program does work with foundations, churches, and other non-profit groups who wish to send a student to our program, if you are able to find a group to sponsor your tuition, we will work with that group on the billing and payment side. Unfortunately, we do not have funding for scholarships or financial aid for our program. Can I watch a video about the dorm in NYC? Yes! You can see a cool video by clicking right here! 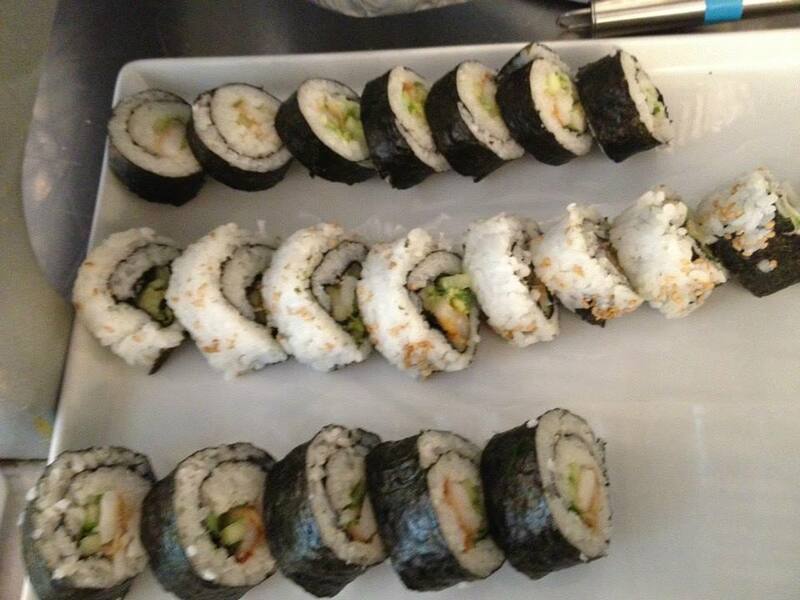 cooking class nyc making sushi! 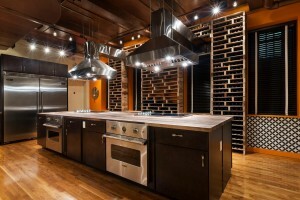 Another one of our cooking stations at our campusNYC the cooking class NYC loves! Culinary student working on a recipe at campusNYC! Happy students doing demos at Prospect Park’s Grand Army Plaza as part of our Saturday experience to the GreenMarket and the station we set up there.